If you have switched from regular to low-fat products in order to become leaner, you might be in for a unpleasant surprise. Many of the low-fat foods contain added sugar for the improvement of the taste, which is actually a lot worse for your diet than just consuming the regular percentage of fat in products. And like everything else, the consumption of fat has some positive sides too, like boosting your metabolism and increasing the testosterone levels. Are you one of those people who truly believe they can religiously follow their diet at any time and occasion, for all eternity? I hate to be the one to break it to you, but that’s not going to happen. It’s a part of human nature. We will always have the junk food cravings, sometimes reinforced by a holiday or going through an emotionally stressful time in your life, sometimes fading in the background during a period of special motivation and willpower. The point is, they never really go away and by trying to suppress them altogether, you’re doing yourself a bad favor – once in a while you’ll snap and compulsively stuff yourself with an entire box of ice cream or a huge greasy hamburger. So, instead of waiting for that moment to happen, try to schedule one day in the month (or even every two weeks!) when you’re going to eat a junk food meal. It’s like giving yourself a permission to cheat – and that way you gain control over the cheating. Still, make sure that you’re within your daily calorie targets! 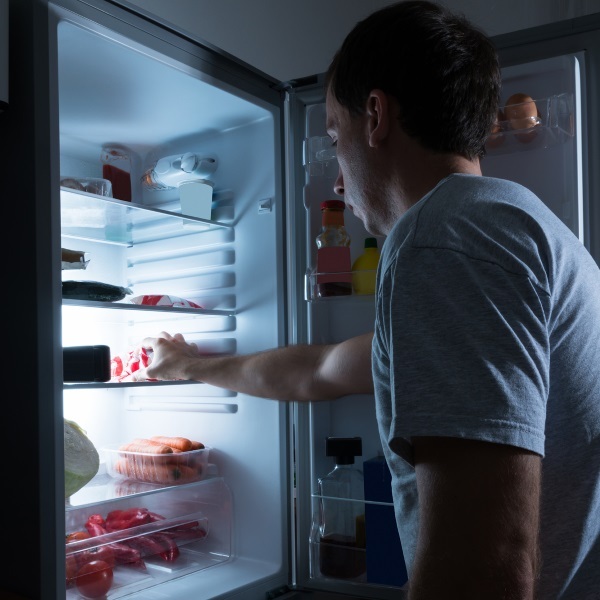 Eating late at night, when your metabolism naturally slows down, is the right way to store some more fat in your body. Also, junk food and sugary snacks and drinks have a stimulating effect on your organism, which can lead to sleep disorders – and you know how good quality sleep is crucial for providing you with the energy needed for your training. Since cutting is usually really hard and exhausting, fat burning supplements can be of great help. They are designed to support fat loss by enhancing the metabolism and suppressing the appetite, which provides the organism with more energy and focus, optimizing workout potential. They are most effective at jump-starting weight loss. The important thing is to be very careful when choosing the right fat burner, since some of them are ineffective and some can be downright dangerous for you. Invest some time and money into choosing a good quality product that will maintain your body healthy while boosting the burning of fat. In addition to keeping you full throughout the day and supporting muscle growth, high-protein foods are good for losing fat as well. Your body burns more calories in order to break down protein compared to other nutrients!